Apple Music is acquiring premium subscribers 2.5 times quicker than Spotify. Spotify was the global leader when it came to streaming music digitally. It had held onto that position for years with dominance over the US market, until Apple Music entered the scene. Slowly and steadily Apple Music inched forward and recently it toppled Spotify in the US market. Apple Music is also eclipsing Spotify’s scene globally. As reported by Loup Ventures, Apple Music has recently beaten Spotify in the US market by acquiring a customer base of whopping 21 million. Spotify currently stands at 20 million subscribers. The difference, as of now, might appear negligible but Apple Music will not be stopping there, and this heralds bad news for Spotify. Apple Music is acquiring premium subscribers 2.5 times quicker than Spotify. At this rate, Apple Music will broaden the negligible gap of today into a much bigger distance tomorrow. The main reason behind Apple Music’s surge is the company’s iOS. This allows the company the opportunity to push Apple Music to other devices connected with the same operating system. Apple products also exclusively play Apple Music only. For example, HomePod is compatible with only Apple Music. Globally there are about 780 million users actively using iOS products and services. This provides Apple Music with a huge audience base to add. It is moreover suggested that Apple product owners might have more disposable income in hand to be able to subscribe to Apple Music services with ease. It then stands to reason that Apple Music’s gain in the US market is more due to the fact that Apple Music is exclusively synced to the Apple Ecosystem hence its demand in the region is more brand-based rather than services or features. But then Spotify too offers similar features at the same price band as Apple Music. Considering Apple’s hold in the US market, it is not surprising that Apple Music has surpassed its one of the major competitors. In another news, Apple Music and dance-music label Ministry of Sound have stricken an exclusive deal. According to which the Ministry of Sound branded playlist will not play on any other music app except for Apple Music. This would mean that besides Apple Music, Spotify or any other music app will have no right to play songs under the Ministry of Sound label. Currently, Spotify has many popular playlists from the label that includes Ibiza Anthems, R&B Mixtapes, Dance Nations, and others. 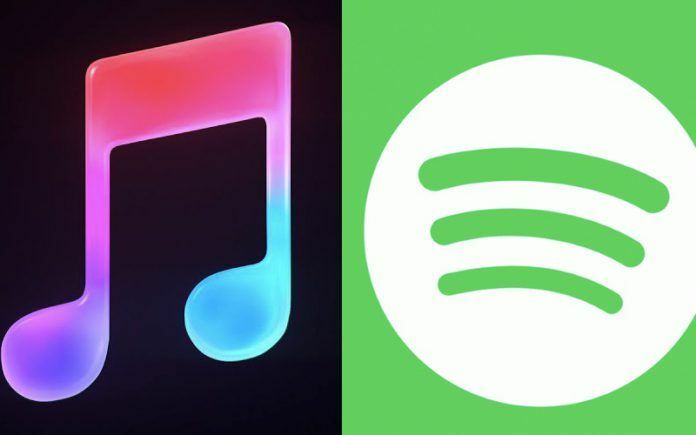 And now with the deal between the Ministry of Sound and Apple Music, none of the music apps including Spotify will be able to play these songs. For those unaware, the Ministry of Sound label comes under Sony Music Entertainment. Sony acquired the label for €67 million back in 2016. The label was launched in 1993. It used to be an extension of South London nightclub established by James Palumbo. This is not the first time Apple Music has gained exclusive rights over playlists. The music app has enjoyed an undivided deal with Universal for the playlist Peaceful Music. A bookworm who transforms into a web-usability evangelist, when her favorite blend of coffee is flowing in her veins. Happiest in a bookstore and when she is painting with words on paper.